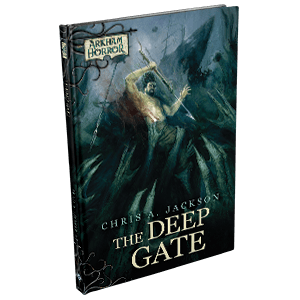 This Arkham Horror novella by Chris A. Jackson takes readers on a voyage up the Miskatonic River running through Arkham and the along the coasts of fear-shadowed Innsmouth where sailor Silas Marsh seeks answers about the nightmares that have plagued him since his parents’ death. Including full-color inserts of the evidence that Silas has at his disposal, this thrilling novella invites readers to step into the role of investigators searching for answers alongside Silas. But be wary- each answer you uncover brings you closer to the dangers that lurk just beneath the waves.